Last April, I was invited out to film an episode of "Strange Days with Bob Saget" on the north side of the Olympic Peninsula. 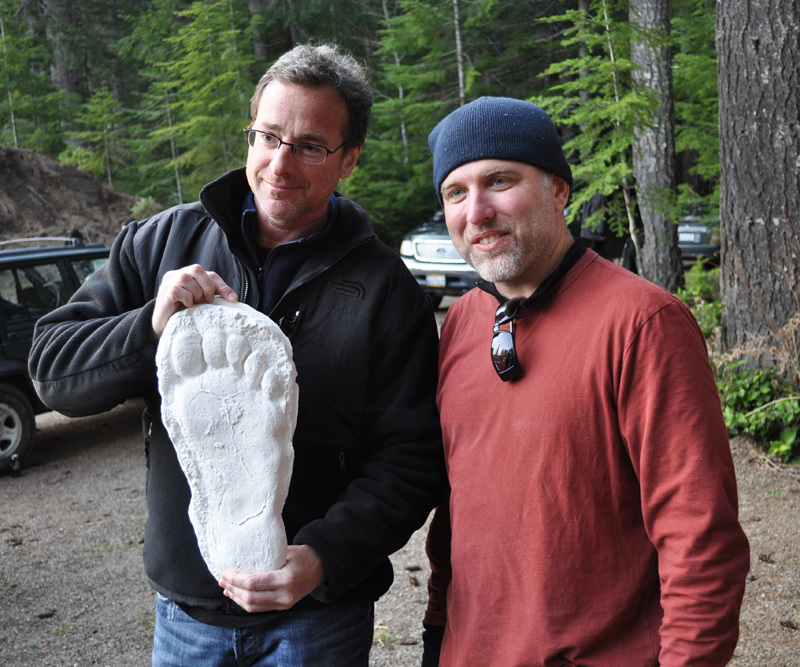 Many of my favorite bigfooting buddies were there, which was enough reason to go in itself, but how could I pass up the chance to bigfoot with Bob Saget? No news came my way about the series while Mr. Saget and the crew were finishing up filming the other episodes. However, this past week I finally got a little bit of info from the A&E Channel website. Knowing the ridiculousness that went down, I don't know if this is something that should be advertised or not, but there you go. I don't know if the bigfoot episode will be among the first to air, but I was told that the production company thought it was hilarious. Maybe they'll want it for their vanguard episode? By the way, Mr. Saget is not what you'd expect from his foul-mouthed stand up routine. He was kind, respectful, and polite the entire time, eagerly listening to bigfoot accounts and asking intelligent and insightful questions. He even took several breaks a day just to call his daughter in New York. He's a genuinely nice guy, so watch the show.